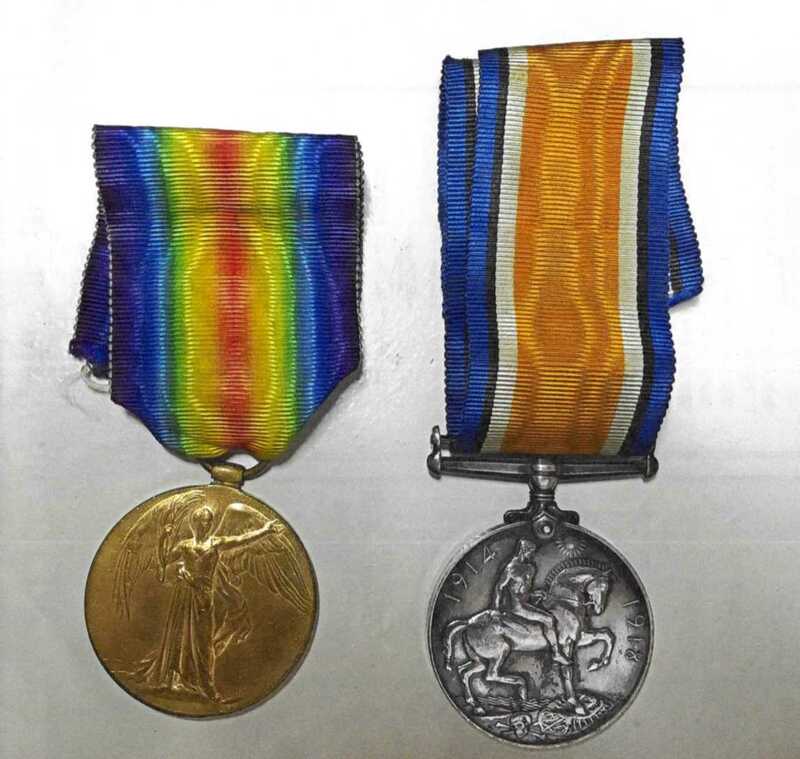 The above medals were given to Tom’s family & the photo was kindly sent by Lindsey Kadzevski who is Tom’s Great Niece. 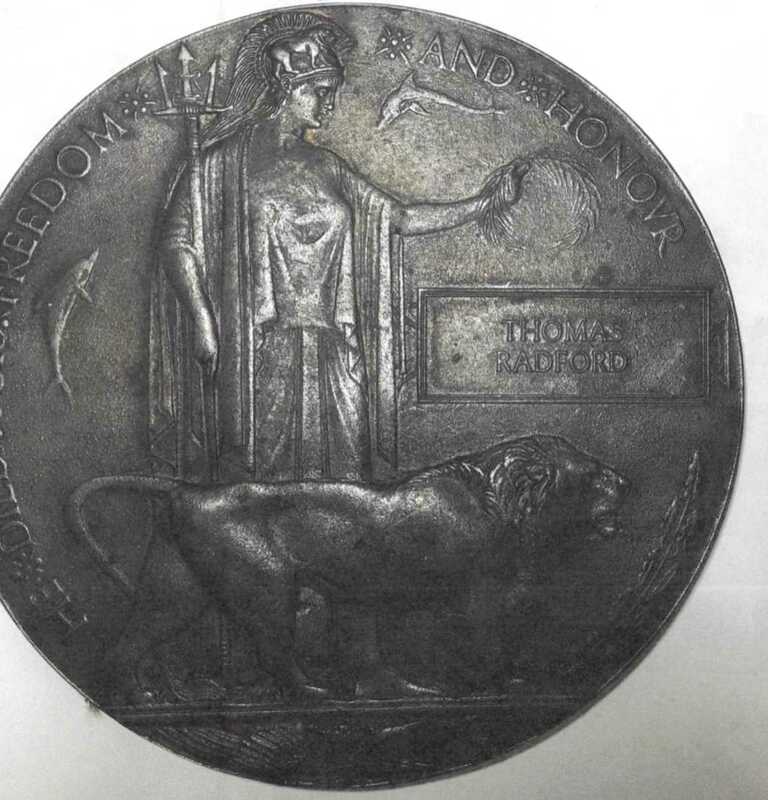 Tom’s plaque sent to the family following his death, photograph sent by his Great Niece Lindsey Kadzevski. 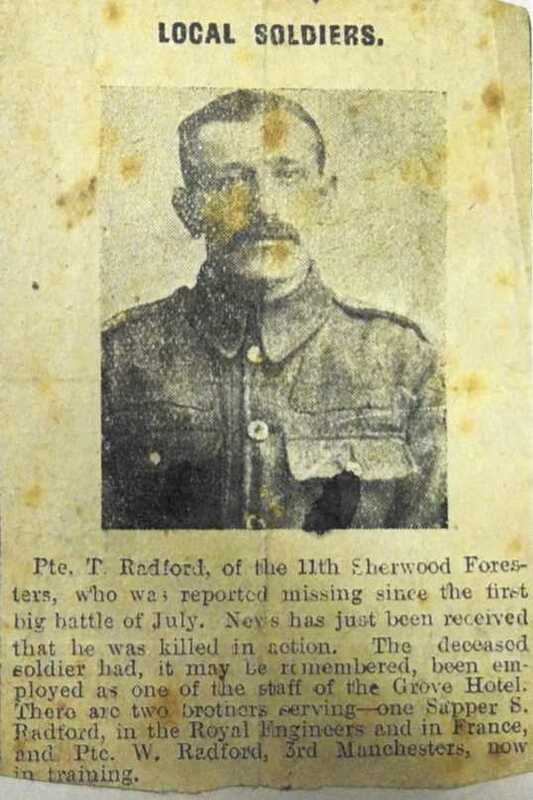 This is the original cutting taken from the local Newspaper reporting on Tom’s death, also sent by Lindsey. 1891 Census: Living at 1 West Street aged 4yrs. Thomas had an older brother, Samuel, two older sisters, Mary and Ann, and a younger sister, Fanny. I have been unable to find any of the Radford children’s school records. 1901 Census: Living at Lomas’ Yard aged 14yrs. Occupation Drapers Errand Boy, another brother, William, had been born. 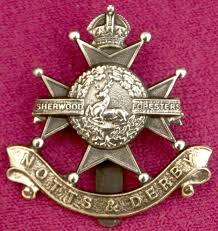 Thomas Snr had died. Mother Mary Ann was working as a “Domestic Charwoman“. 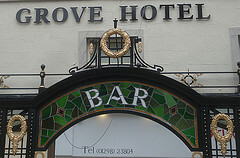 1911 Census: Barman living and working at Grove Hotel, Buxton. 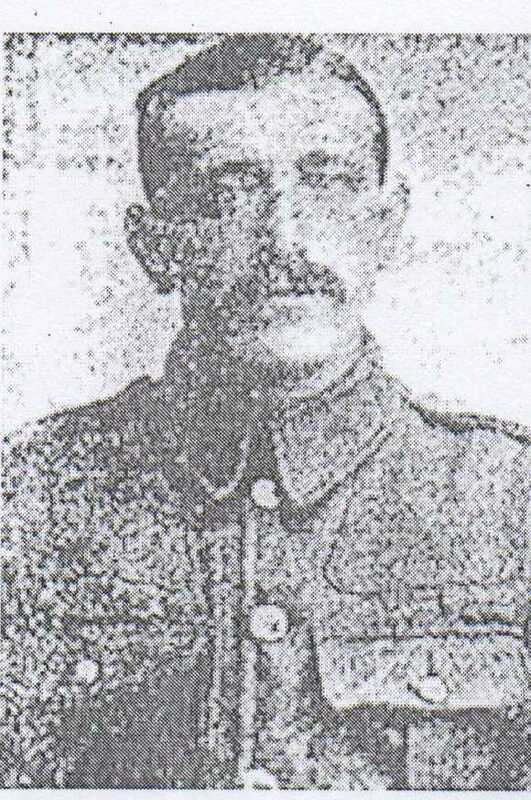 1916: Thomas was reported missing on 1st July, the news that he had been ‘Killed in Action’ was not received until the November. 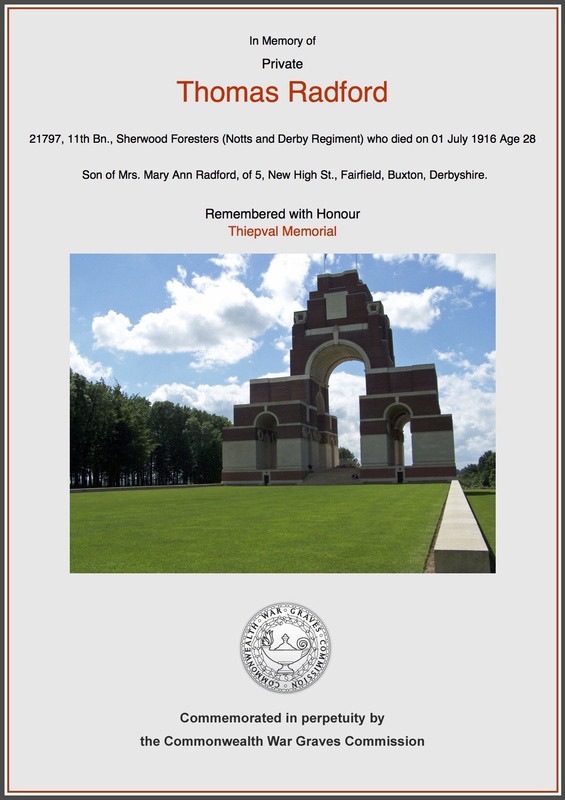 2 brothers also fought Sapper Samuel Radford in the Royal Engineers & Pte William Radford in the 3rd Manchester Regiment. Thiepval Memorial Pier & Face 10c, 10d & 11a. 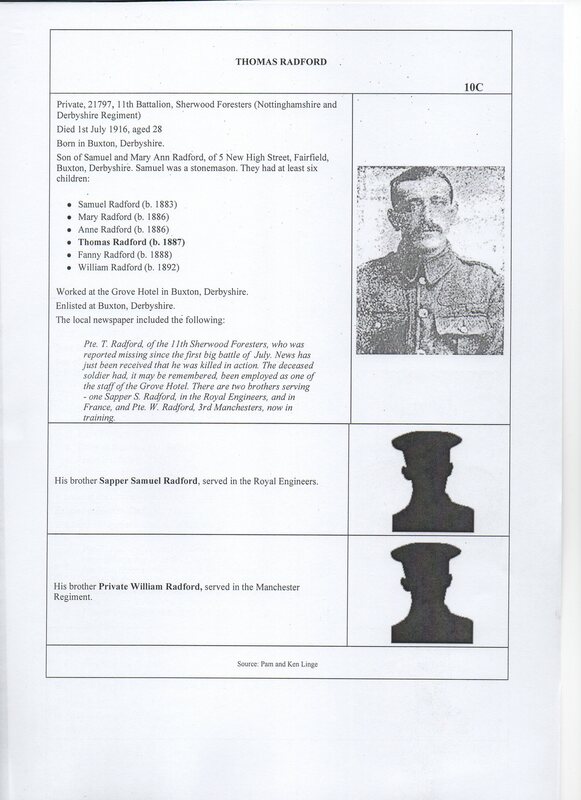 That is so interesting, I love reading about my family history and knew the Radfords originally came from Bonsal near Matlock, sadly uncle Tommy’s dad died at 40. Obviously I never met him but he is remembered fondly by my mum and myself. They all lived in 5 New High Street, Fairfield where I visited my great grandma his sister Mary Clearly (new Radford) everyday until she went to live with my nan. We have visited the new memorial which as you perhaps know is in the small park near St Peters Church as I have dogs and live very close so we walk through the park on our way to the common. My nan told us of many tales of Uncle Tommy but as a child they didn’t sink in until it was too late, but mum remembers Granny Radford (Tommy’s mum) well. Unfortunately both myself and mum not sure about my nan although we all grew up here in Fairfield never knew he was written on the stained glass window in St Peters Church as silly as that seemed. Well thankyou for this info, I know mum will be VERY interested, as I am too.